No, I'm not the lucky person who goes to Paris this weekend. 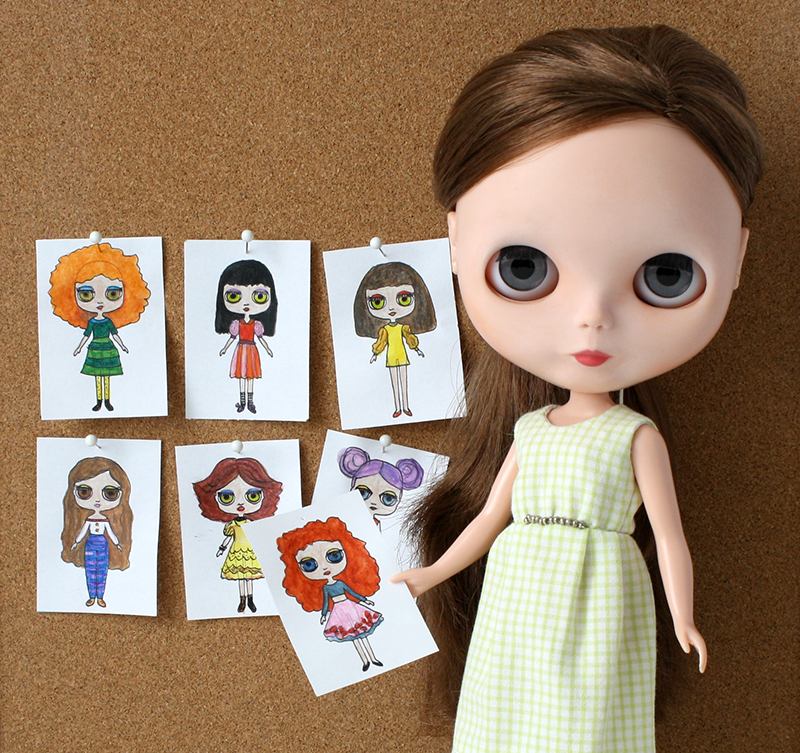 But I found a blank drawing of a Blythe doll. I sketched some Blythes, however, I think that my drawings are to small and they have not enough details to send them to Blythecon Europe. 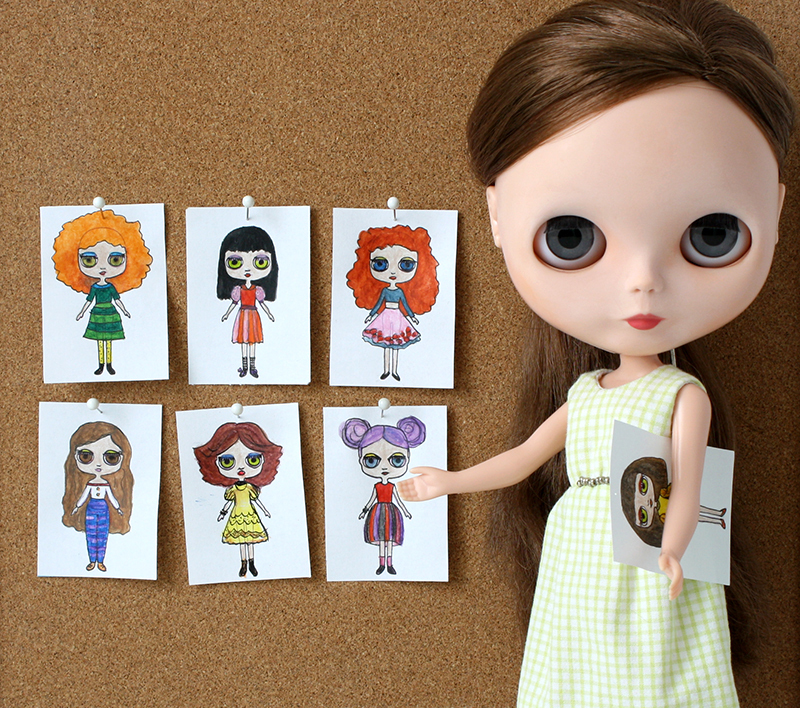 But you can design your own dream Blythes and all your drawings will be given to Junko Wong during the event. Have fun (like I had)!